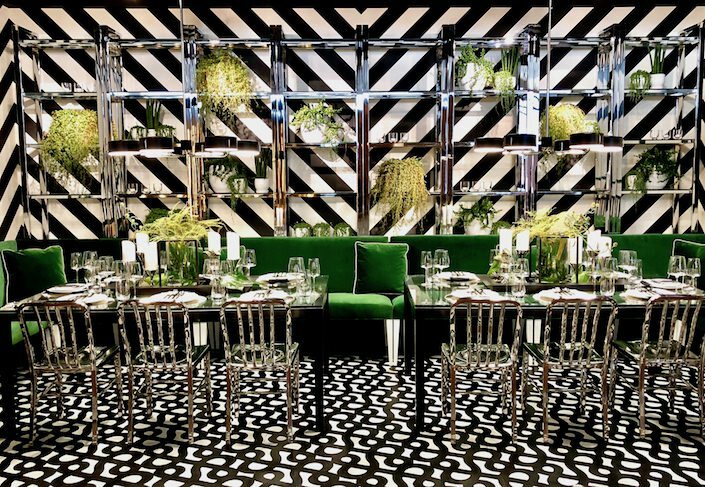 also echoes the Paris store with its signature insignia and ticking stripe interior. 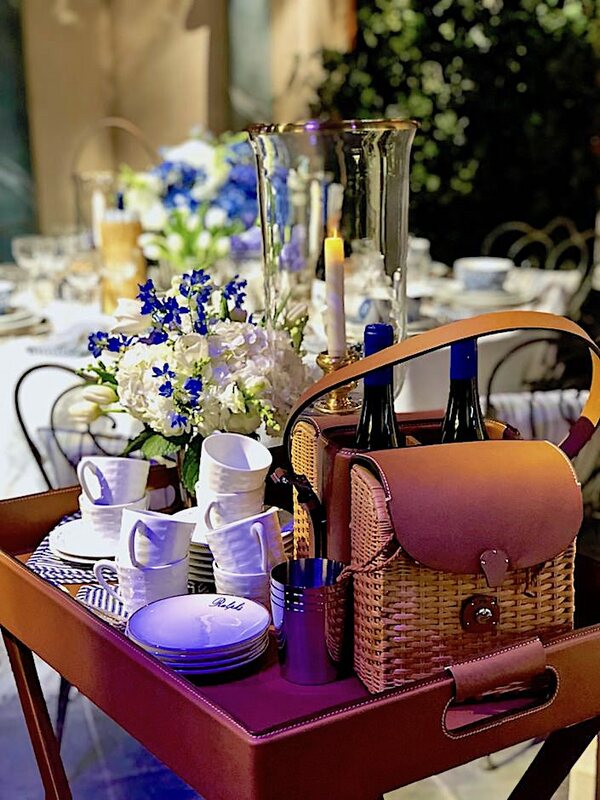 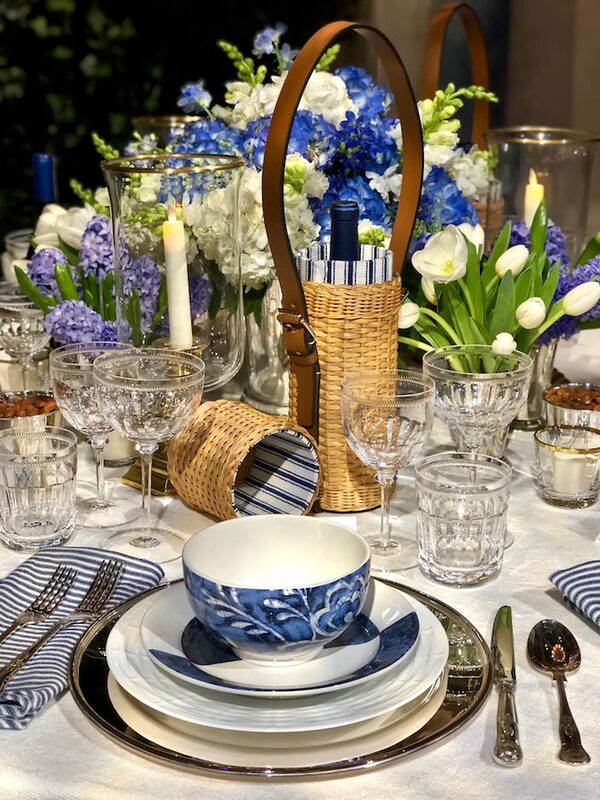 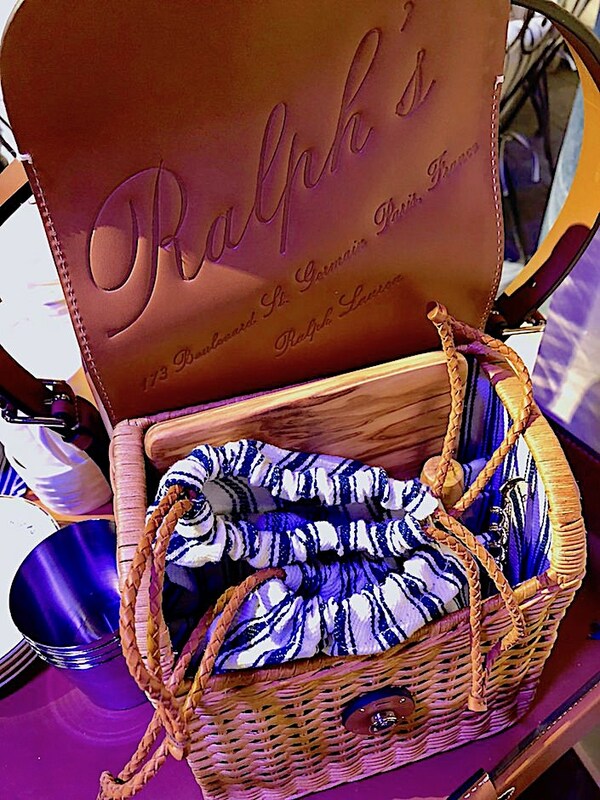 As the warmer seasons approach, the single carrier on the table is perfect to remember for summer picnics and as a memorable house guest gift (sure to secure repeat invites). 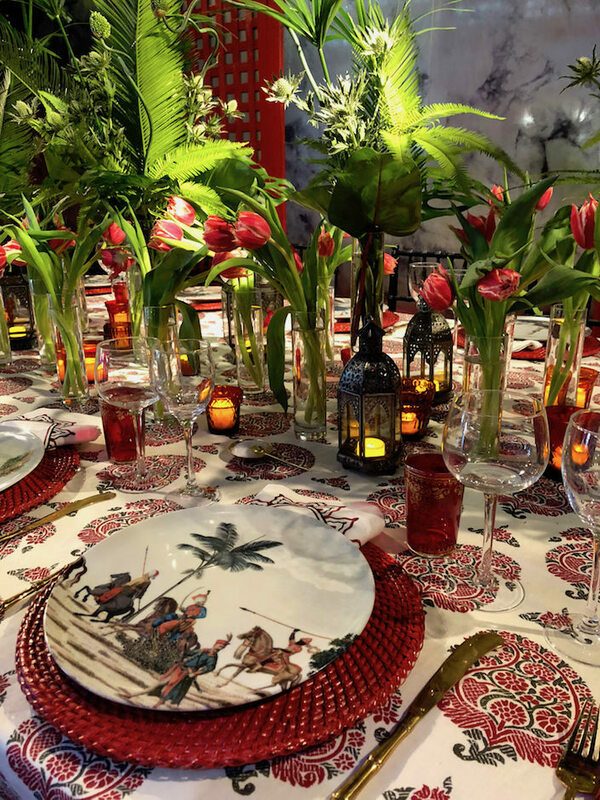 Alessandra Branca‘s table for Benjamin Moore was a showstopping homage to the company’s color of the year, Caliente. 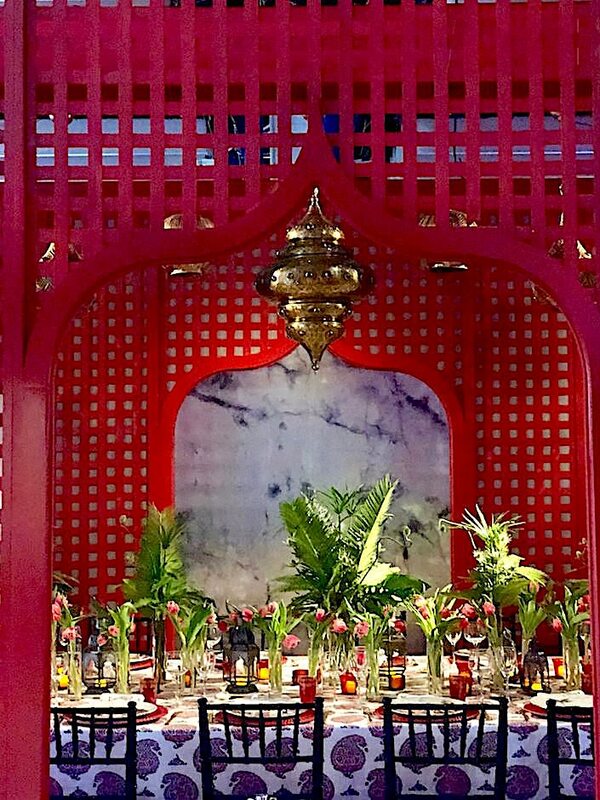 Vibrant and strong, Alessandra harnessed its radiant energy for an exotic ode to Morocco. 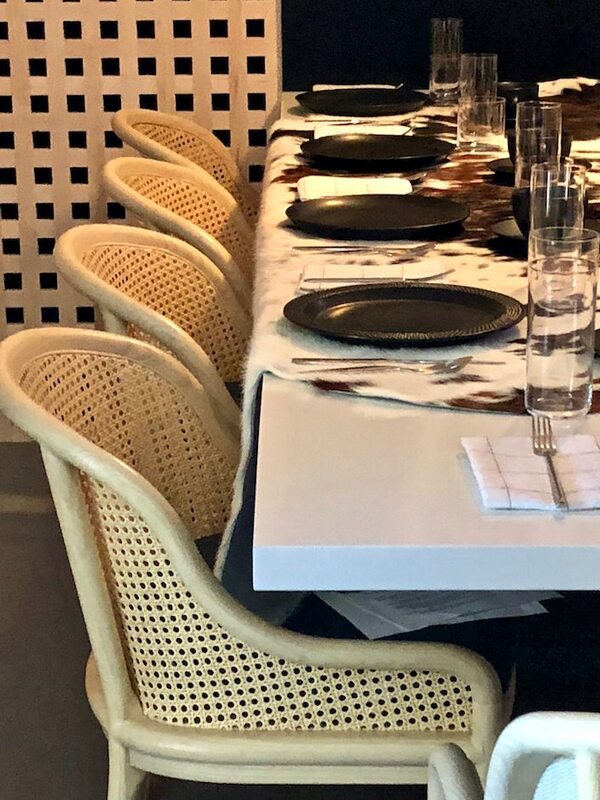 and new custom SFERRA embroidered napkins. 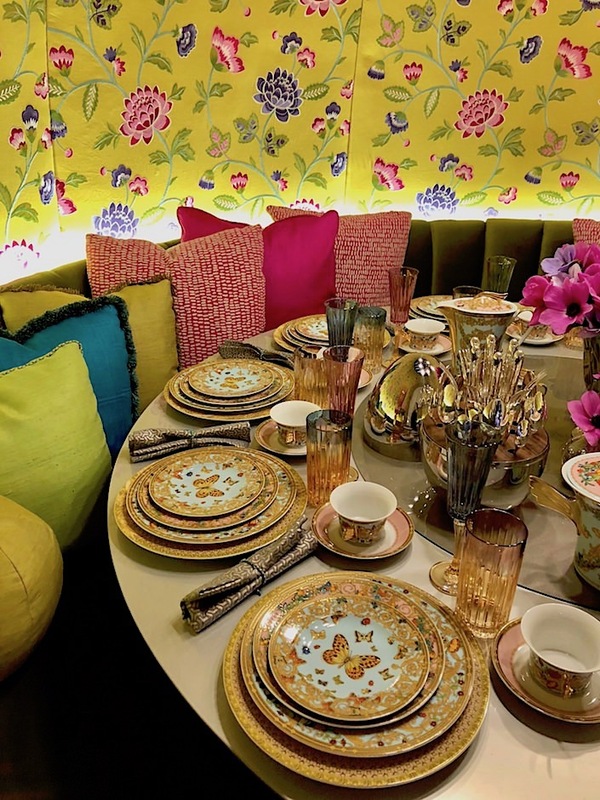 You may recognize the fabulous Les Ottomans plates by Vito Nesta which Alessandra found in Paris and I loved at NY Now. 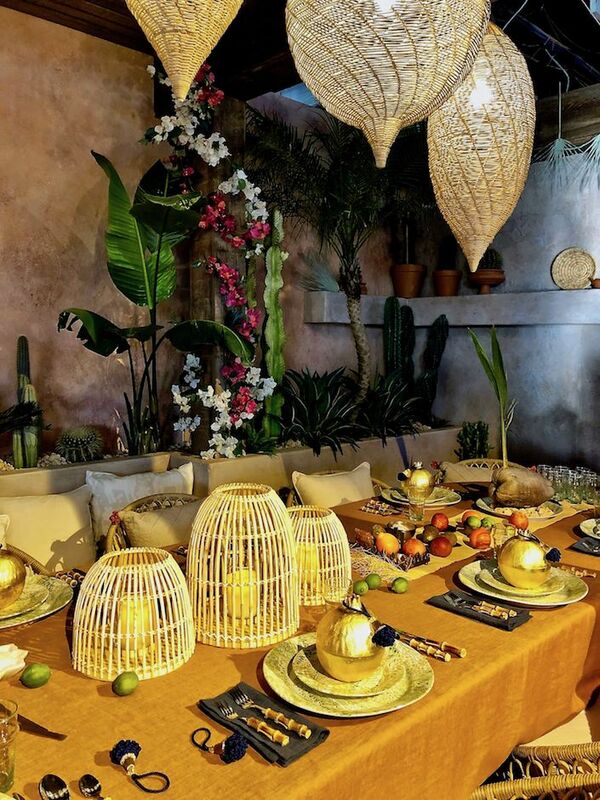 In thinking of his smashing space for LUXE Magazine, designer Wesley Moon envisioned his “I Dream of Spring” space as a colorful cocoon to escape the madness of the outside world. 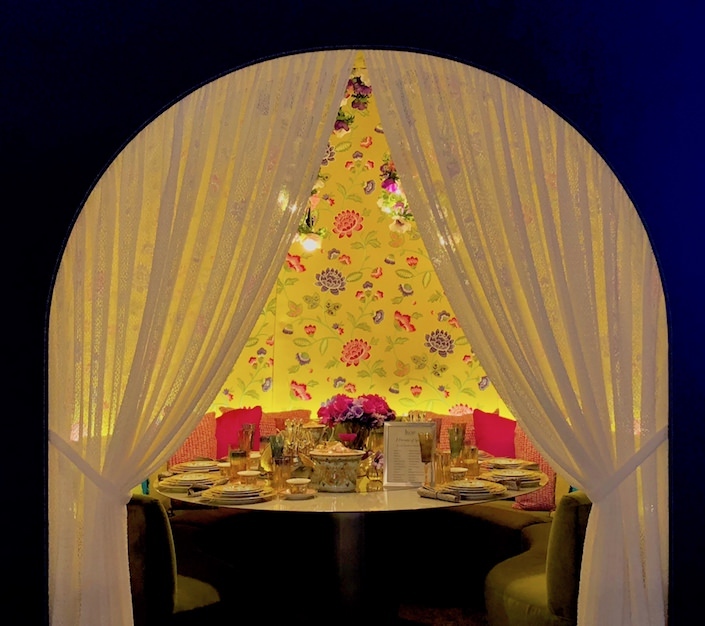 Editor in chief Pamela Jaccarino likened it to a spring igloo. 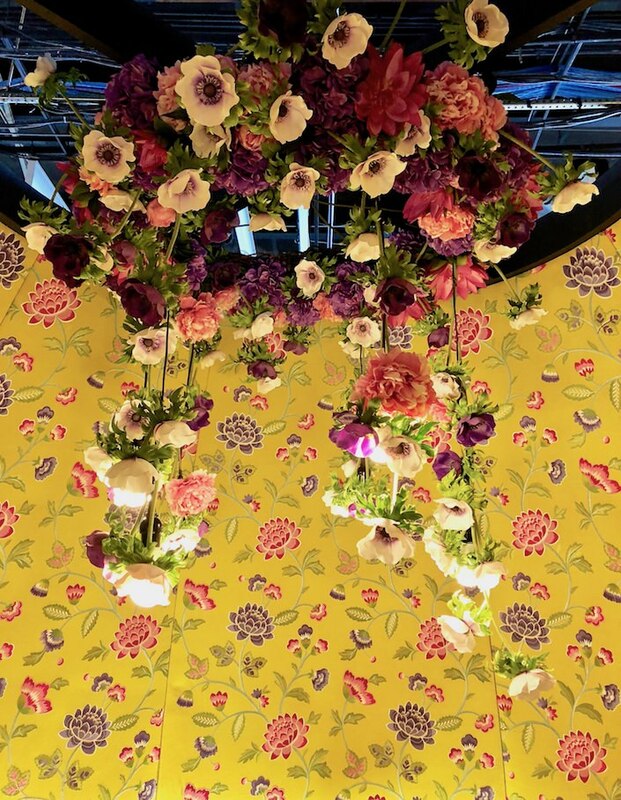 Stepping inside, you were instantly enveloped by the cushy curved walls in an exuberant embroidered Manuel Canovas floral expertly upholstered by Anthony Lawrence-Belfair. 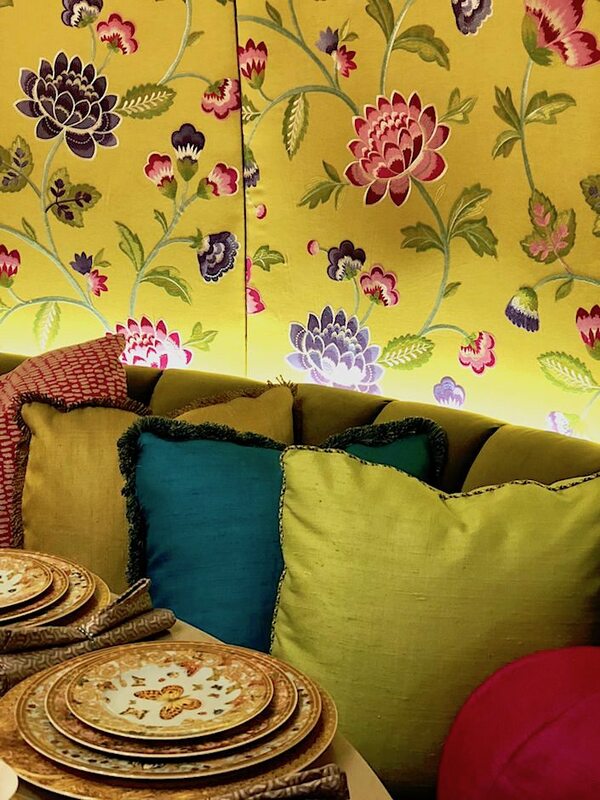 Like Jeannie’s bottle, the curved bench seats were strewn with an abundance of brightly hued pillows. 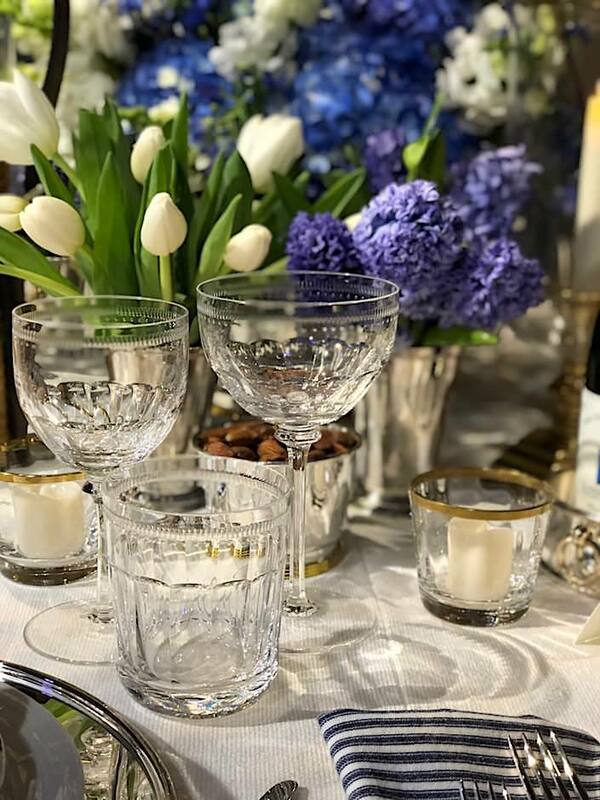 glassware from Artemest and Christofle’s innovative MOOD flatware. 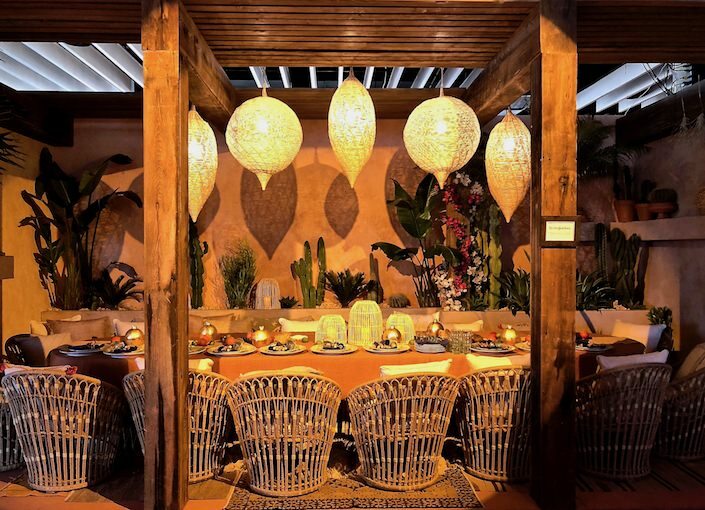 One Kings Lane created created a warm southwest vibe for their table with the NY Times. 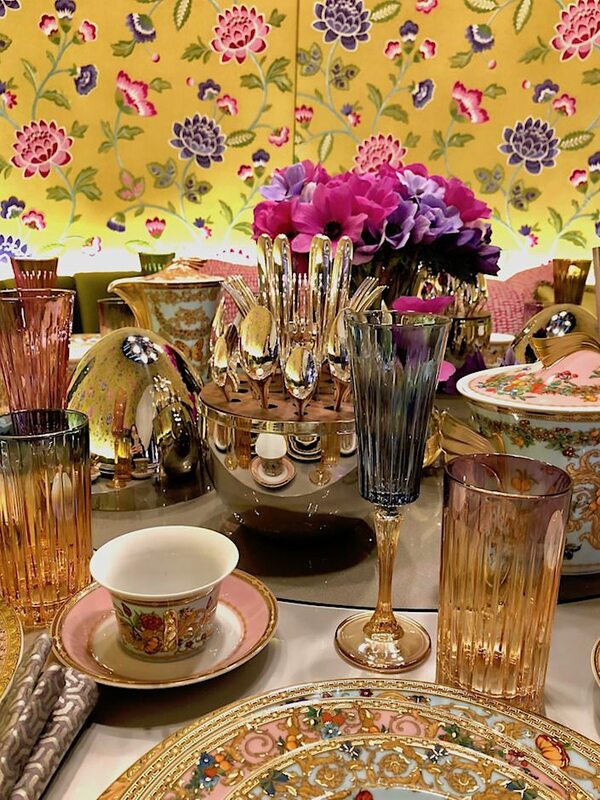 and Lindroth design lanterns which will debut on the site in the next couple weeks. 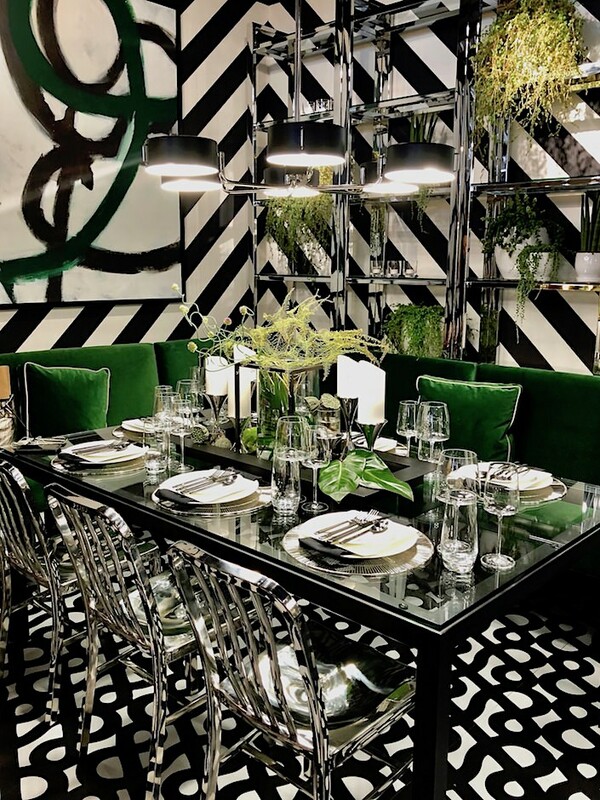 Crate & Barrel went bold with sparkling chrome, black and white and pops of vivid green. 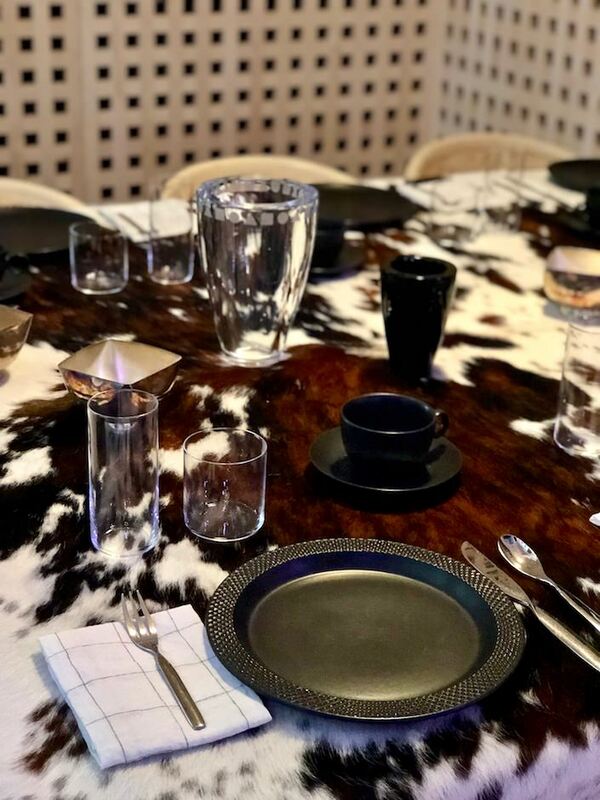 Taking inspiration from their logo’s iconic ampersand, they creating flooring in a graphic pattern that plays off the large scale chevron on the walls. 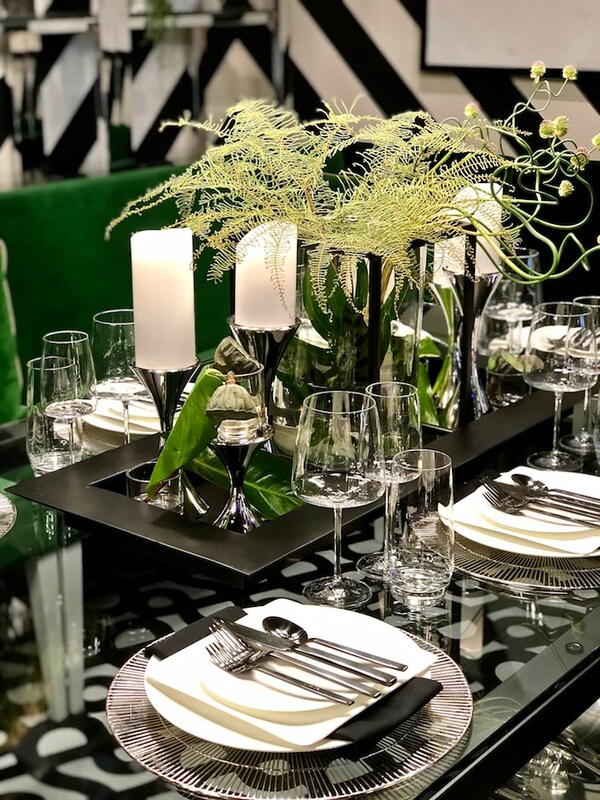 Placesettings continued the contrasting black and white with new Schott Zwiesel Level Wine glasses exclusive to the store. 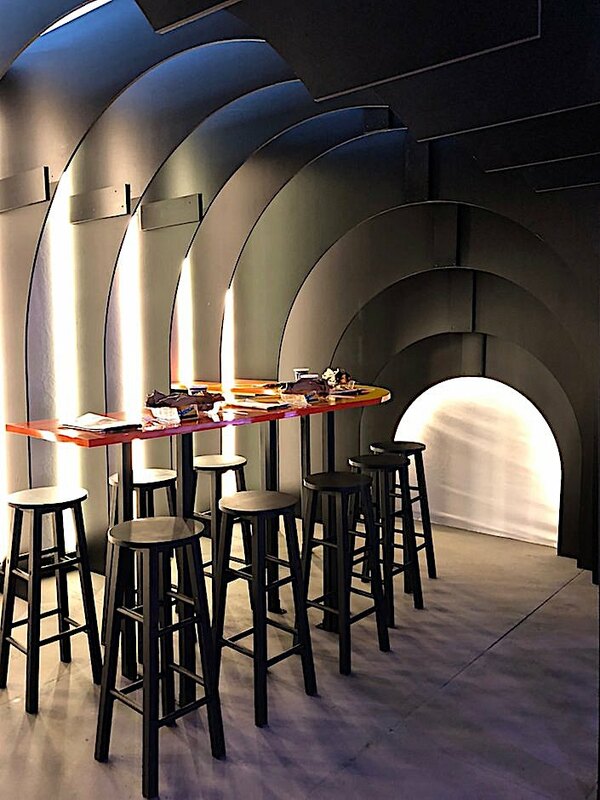 The New York School of Interior Design created an incredibly clever space for the New York Design Center, celebrating the NYC subway with a tunnel shaped space. 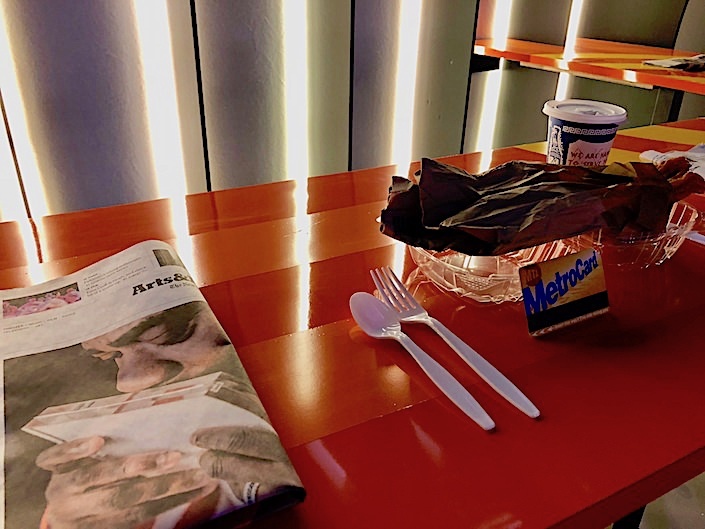 With elements of the quotidian NYC routine, from the newspaper, to Metro Card, iconic Greek New York coffee cup and take-out, they acknowledged and elevated the everyday in design. 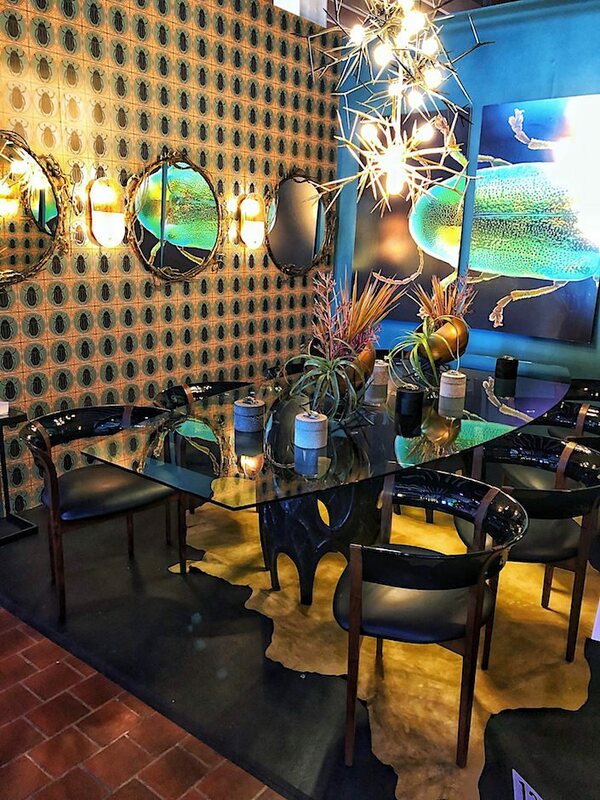 Arteriors designed a space inspired by the timeless scarab. 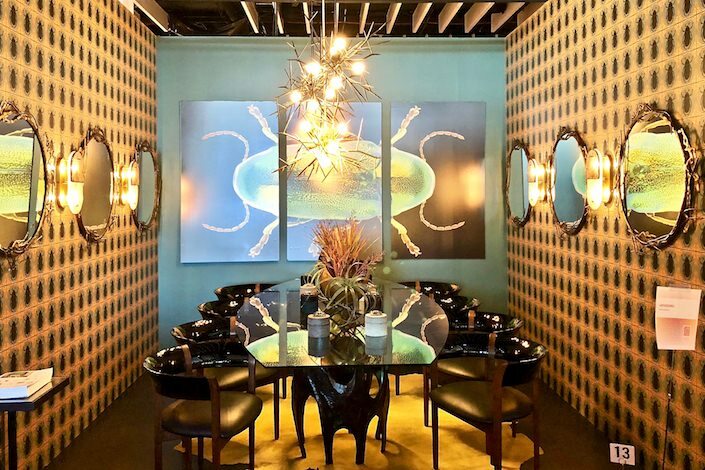 With a nod to firm founder Mark Moussa’s Egyptian roots, the sacred beetle is included in art, wallpaper and decorative accessories. 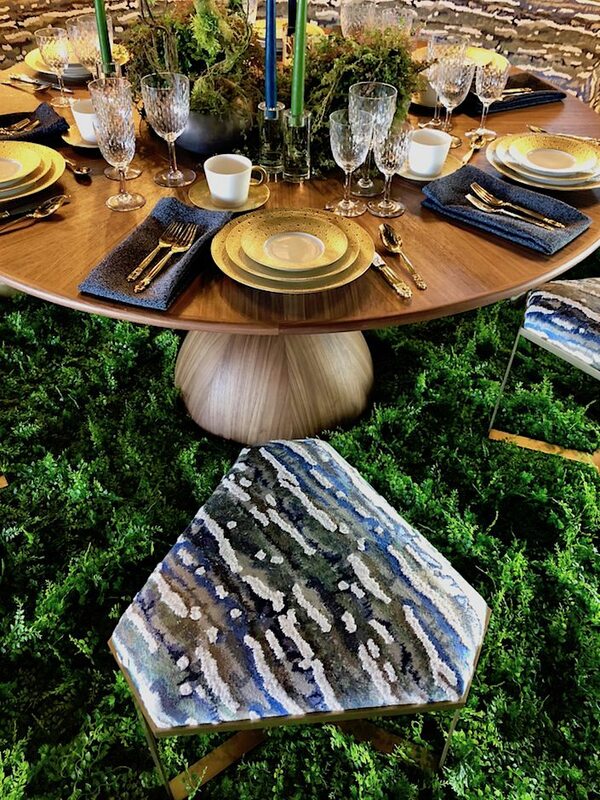 Designer Bennett Leifer created a lush pear garden space for Donghia with a nod to their sinuous Anjou mirror. 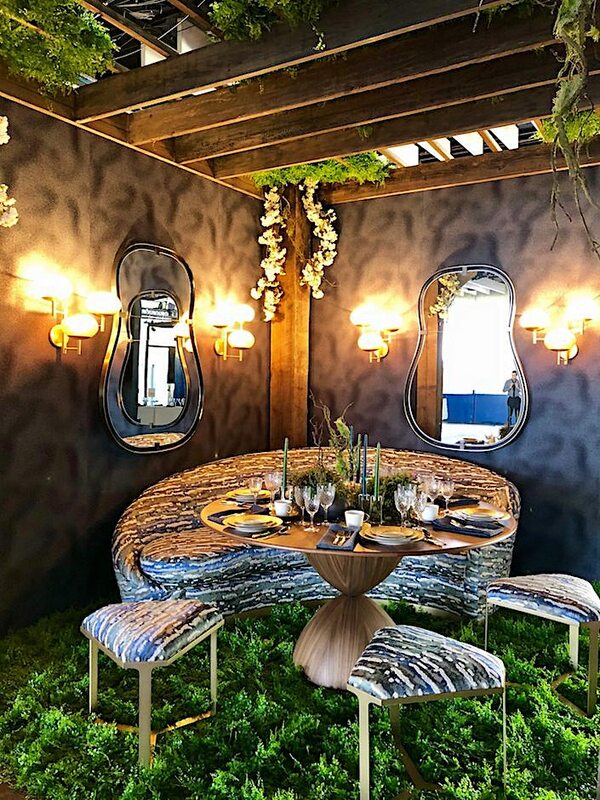 Echoing the fluid shape, Leifer included Donghia’s curve sofa, upholstered in the new organic patterned Bark with Renaldo sconces. 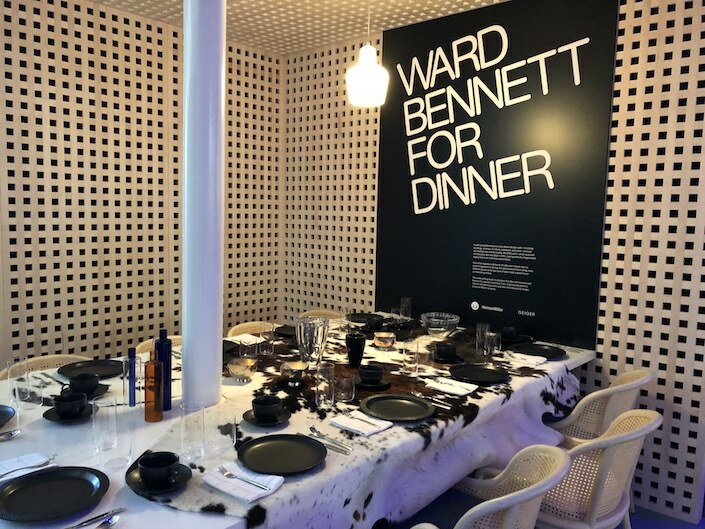 Ward Bennett was a self taught Renaissance man who designed everything from building to furniture, tableware and more. 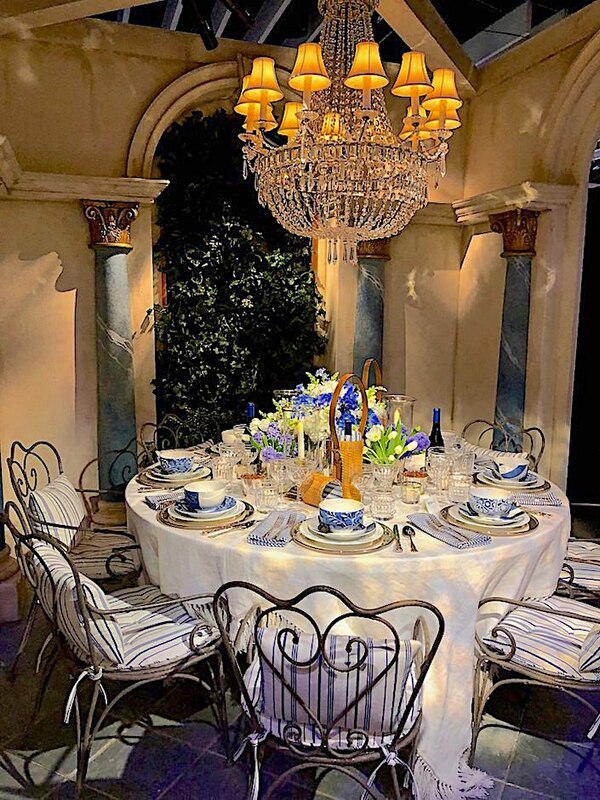 featuring his popular Landmark Chair that is a part of their Geiger division. 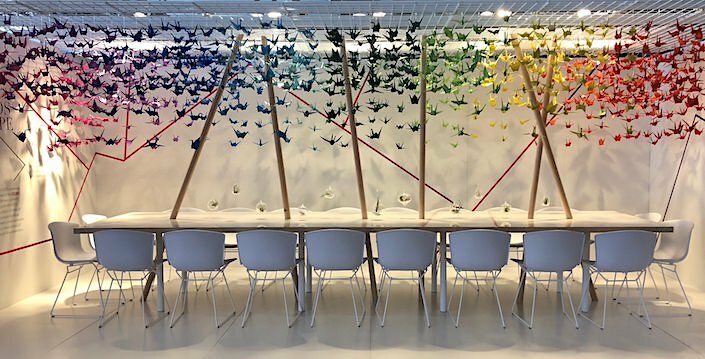 The Gensler table created and hung 1,000 paper cranes, representing one of the 123,887 New Yorkers currently living with HIV/AIDS. 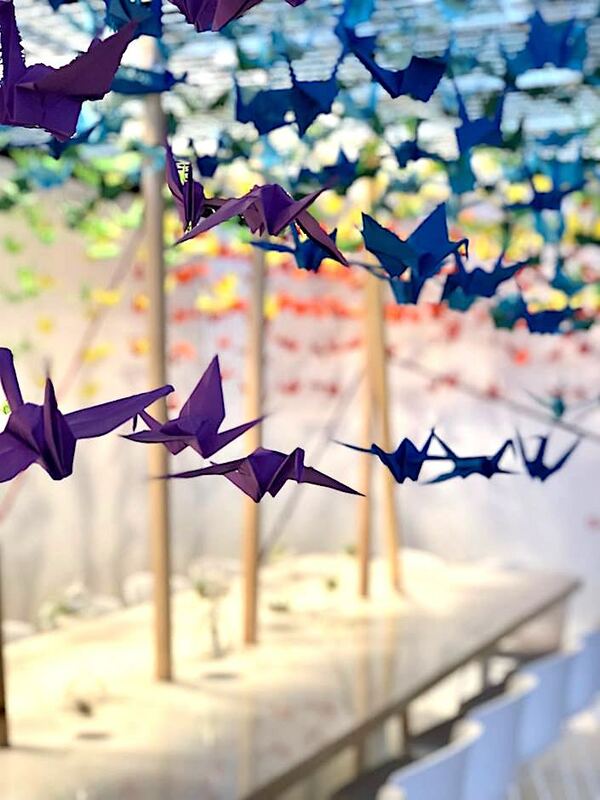 Every fold is in honor of an individual and the birds as a flock are a symbol of hope and healing through a collective story of strength and perseverance. 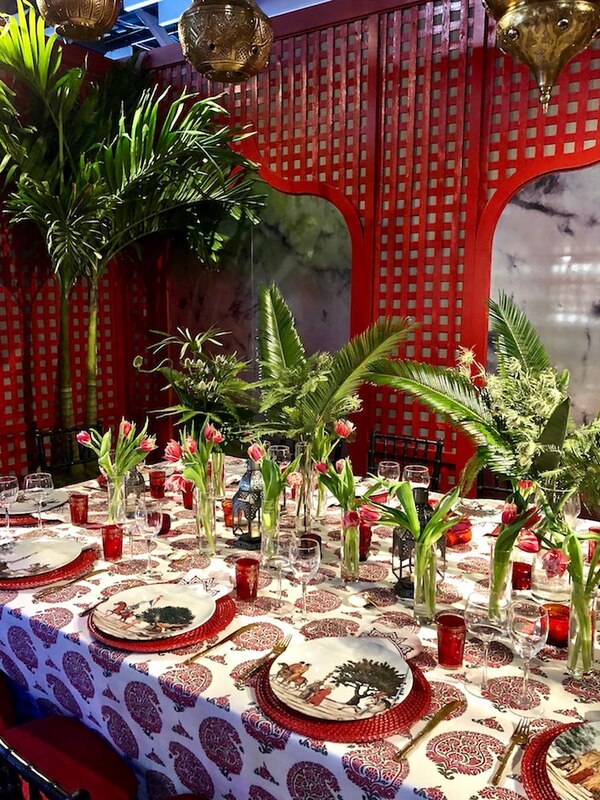 Novita, the marketing and communications agency handling the AD Design Show and the DIFFA event, collaborated on a booth with Maiarelli Studio, in honor of the press and journalists, who work to inform and educate. 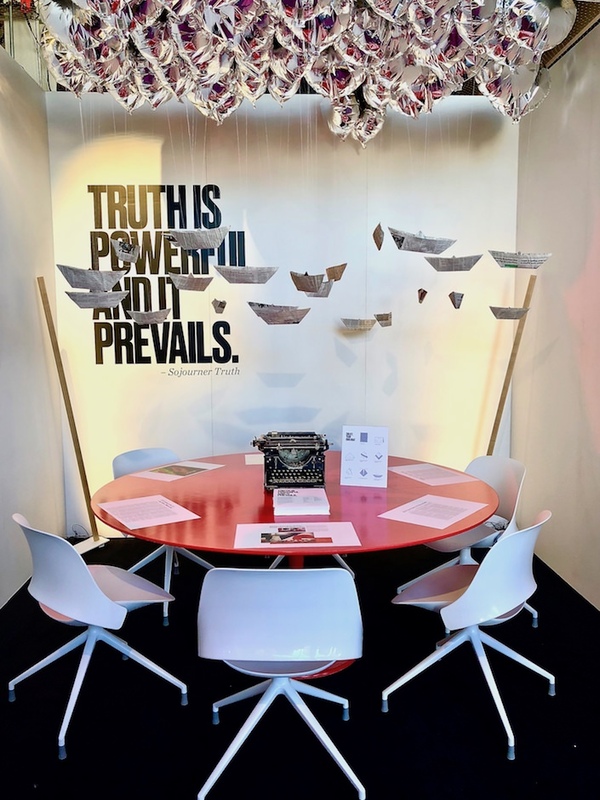 The floating newspaper boats are a visual metaphor for the truth in a sea of fake news. 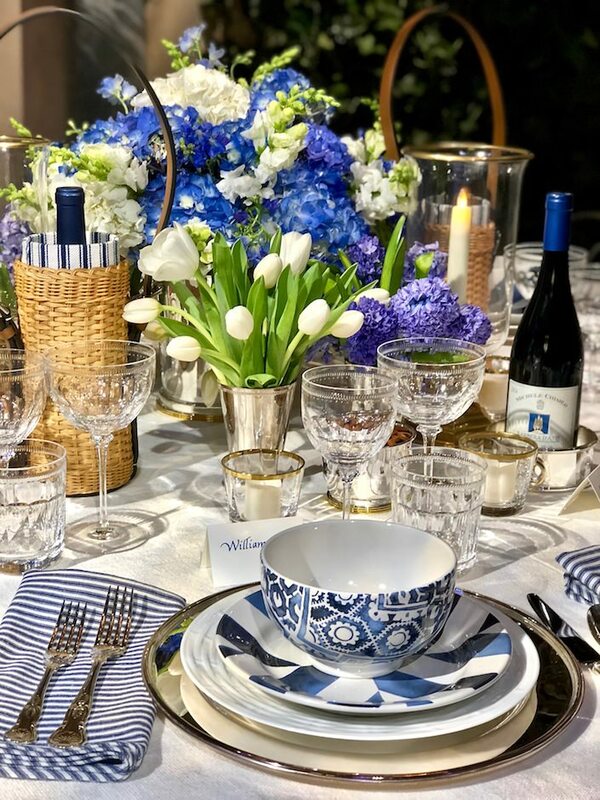 Congrats to all the designers and brands including the ones featured here and those I didn’t have a chance to cover, on their participation in this worthy evening of design. 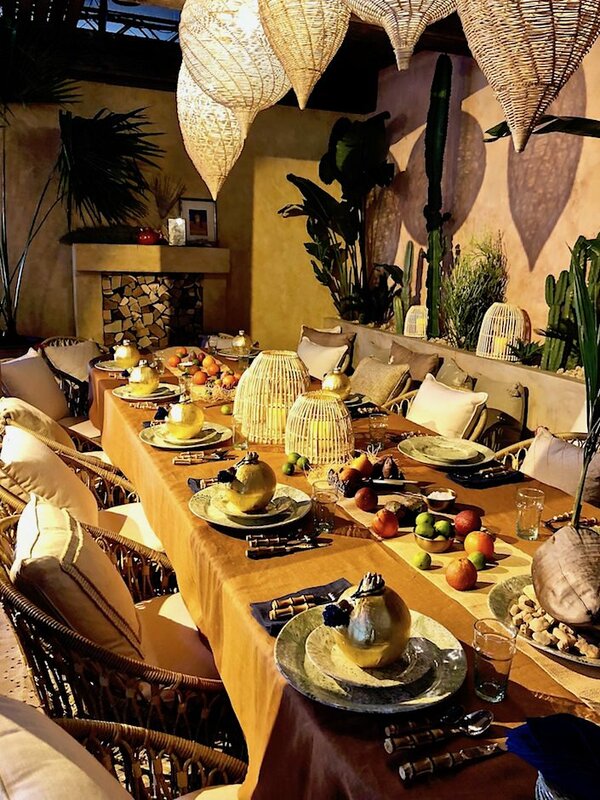 This entry posted in design, interior design. 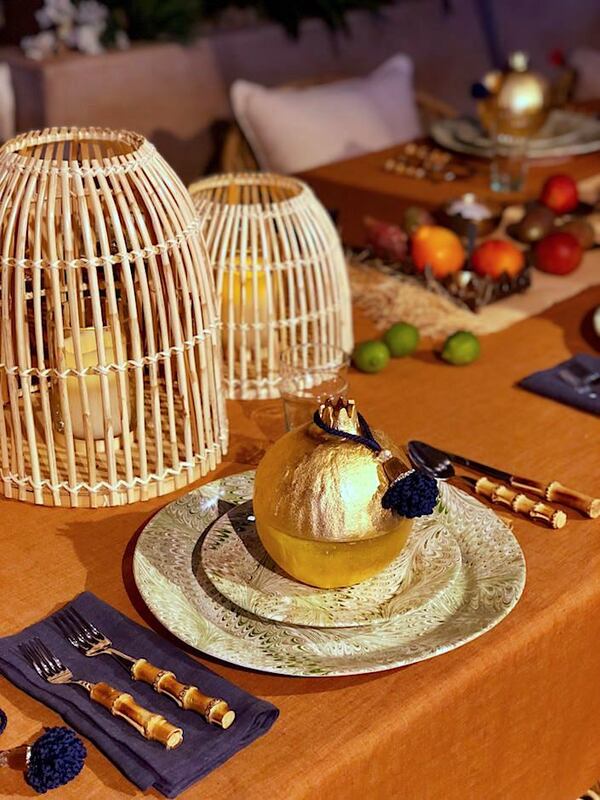 Entry Tags: DIFFA, Dining by Design, Tabletop Bookmark the permalink. 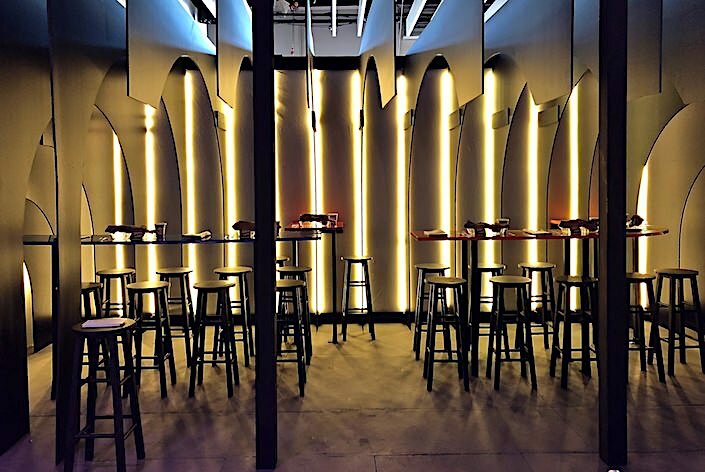 81 queries in 1.747 seconds.